An intriguing history of Northern Ireland’s largest city. With a hard-won peace, investment and renewed hope, it is an excellent time to stand back and make a new assessment of the history that has brought Belfast to where it is today. Understanding the past – where we have come from and what has moulded us – is important everywhere, and nowhere more so than in Northern Ireland’s largest city. For 250 years Belfast, though quite unlike anywhere else in Ireland, was similar to many of the other great industrial cities of the United Kingdom. It embraced the industrial revolution wholeheartedly, and witnessed enormous economic success and expansion as a result. In its heyday it was a great port, a powerhouse of linen manufacturing, ship-building, and engineering, and a truly dominant force in the northern Irish economy. As the iconic shell of RMS Titanic was taking shape high above her Queen’s Island birthplace, Edwardian Belfast was near the peak of her economic might. But within the city there developed patterns of community division and conflict – based on religion – which in their severity and seeming permanence have rendered it quite unique among the cities of the British Isles. From the seventeenth-century Ulster plantations to Catholic migration from elsewhere in Ireland, the particular mix of people in Belfast has always been different from everywhere else and has fundamentally shaped the city’s identity and history over successive centuries. Much of the industry has now gone, and for many years the city had to struggle with the pain of adjustment, at the same time as it was being scarred by a generation of the Troubles. Now, with a hard-won peace, investment and renewed hope, it is an excellent time to stand back and make a new assessment of the history that has brought Belfast to where it is today. Historian William Maguire, who lived in Belfast for most of his life, succeeds here in painting an accurate, authentic and above all a balanced picture of the city, its events and its people. W.A. Maguire graduated with a MA (Hons) in Medieval History and English Literature at St Andrews University, and later completed a Ph.D. at Queens University, Belfast. His early career was spent in teaching before being appointed Head of History at the Ulster Museum. He is a Fellow of the Royal Historical Society. His Ph.D. thesis formed the basis for his highly acclaimed first book, The Downshire Estates in Ireland, 1801–1845 published by the Clarendon Press, Oxford. The Donegall estates were the subject of his next book, Living like a Lord, which was published in 1984, a second edition following in 2002. His research at the Ulster Museum has led to publications on the history of photography in Ireland and work on two exhibition projects; Kings in Conflict on the battle of the Boyne and Up in Arms on the rebellion of 1798. Since his retirement from the Ulster Museum his research concerned mainly the field of urban history. 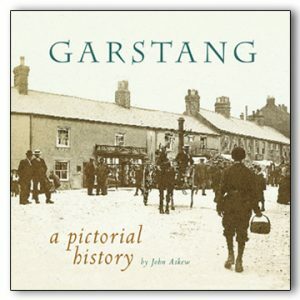 A terrific book: very readable, comprehensive, informative, balanced, useful and beautifuly produced with lots of good photographs and illustrations … a serious and realistic account of the development of the place as well as one which celebrates and enjoys it. 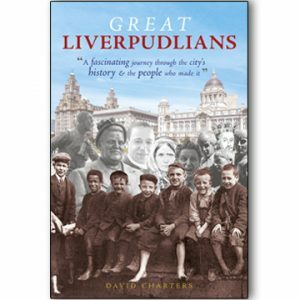 The author of this new history of the capital of Northern Ireland was formerly Head of History at the Ulster Museum. His first book, The Downshire Estates in Ireland 1801 to 1845, was followed one on the Donegall Estates, and since his retirement his research has been concerned mainly with urban history. 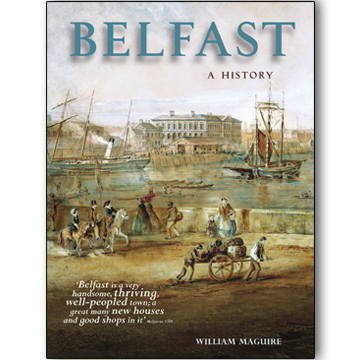 Belfast: a history provides an interesting and useful overview of the development of the city. Maguire charts the geological context of the area, the arrival of the Norman magnates, and the foundation of the ONeill kingdom of Clandeboye. The building, demolition and rebuilding of sundry castles during the Elizabethan age is described, and the book then considers the establishment of the new town of Belfast and the important role played by the Chichester family up to the 1641 Irish Rebellion. Maguire then relates the arrival of the Scots army in 1642 and the subsequent establishment of Presbyterianism, which has remained a force to be reckoned with ever since. The earls of Donegall, the management of their estates, and their uneasy relationship with the Corporation of Belfast to 1760 are described. The latter years of the eighteenth century saw considerable investment by the Donegall family in the amenities of the town. Despite that, and the benefit to both Catholics and Protestants, growing criticism of the landlords was exacerbated by agitators who rendered parts of Belfast virtually ungovernable. The foundation of the Belfast Society of United Irishmen in 1791, and the upheavals of the 1798 Rebellion are recorded. The author describes the outstanding economic development in the early nineteenth century as a centre of textile manufacturing, transforming Belfast from a Georgian town into a Victorian city. By the mid1830s Belfast was the first among Irish ports in value of trade, £7.9 million compared with Dublins £6.9 million. He explains how Belfast became the centre of the Irish linen trade and describes the development of harbour. Such issues as population growth and urban problems, the political changes in local government, and the rise in sectarianism are explored, as are the expansion in shipbuilding, engineering and ropeworks, the role as a major producer of whiskey and tobacco, and improvements in education, health and sanitation. The violence and sectarian politics of the twentieth century are related, and an important postscript describes the more recent renaissance, revival and reconciliation. This is a balanced, well written account, with excellent colour illustrations throughout.